In the previous articles we've talked about your social media strategy, your target audience, and what kind of content or messages you will craft for your audience. 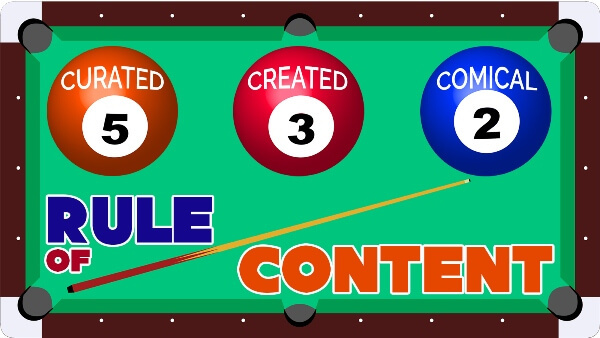 Today we get into the nuts and bolts of content creation (and curation!). Original content creation is the heart and soul of inbound marketing. Original content not only drives your social media plan, but can also aid in your search engine optimization effort by creating more pages to be crawled. Content creation is your company's opportunity to show its knowledge and give itself an original voice. Tell your story in your own voice - Write a story a human wants to hear and tell it like they are sitting across the table from you. Creating a persona for your brand will help develop trust and loyalty. Stay away from using big words and fancy terms (unless they are terms common to your audience, ie. medical professionals). Use keywords - Using specific keywords in your content and headline will make your material easier to find and more relevant to your audience. For example, if your audience is searching for "creating a social media plan" you could have a title such as: "Here's Why Creating a Social Media Plan is So Important" or "Expert Tips for Creating a Social Media Plan". The keywords are built into your story and will translate into more views and engagements. Check our useful tools section below for ways to search for keywords. Be Visual - Use graphics and images that are representative of your brand and content. Images can convey your message quickly and be retained for a longer period of time than just text. Images can also create an emotional response to your audience. 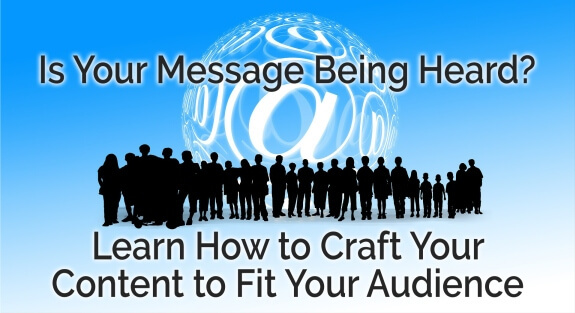 Create to the selfishness of your audience - Your audience may not be concerned about you, your business or blog. Rather, they arrived at your content assuming it would offer them something of value in exchange for their time. "Take 'yourself' out of the equation. Be 100 percent impartial and put the reader's interest first," advises Mark Rushworth, Head of Search at Blue Logic Web, a digital agency. "This will deliver more traction in the long run." Matt Certo, Principal of WebSolvers, Inc. recommends you "write and promote [your content] to the selfish nature of your audience. Our digital culture has conditioned us to expect answers to our questions that are fast and free. What's more, consumers don't want to be 'sold,' they want to connect with brands. [Content] should focus on the consumer -- not the brand. If your audience profiling is specific and your content and distribution is reflective of those findings, you are well on your way." "When planning your content, make sure that no more than 20% of what you’re creating or sharing is promoting your own business or product. Going beyond this can create a very “salesy” tone of voice for your brand, rather than helpful. "The more you help your audience (without expecting anything in return), the more perceived value your brand will have in their eyes. So, be sure to keep the majority of your content (the remaining 80%) educational, entertaining, or informative." What format your content takes is largely dependent on what you and your team are comfortable with and have the resources to produce. Using the same content in a different form on a different channel is a great way to economize your creative efforts and maximize your exposure. For example, producing a "Top 20" list to post on Twitter while creating an Infographic using the same data to post on Facebook. Same content - 2 different channels - 2 different formats. The process of content curation is the act of sorting through large amounts of content on the web and presenting the best posts in a meaningful and organized way. The process can include sifting, sorting, arranging, and placing found content into specific themes, and then publishing that information. 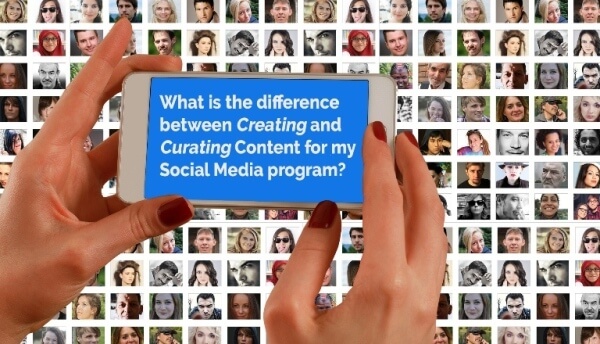 Basically, curation is sharing content you have found and think your audience would like. Curating content helps fill the gaps that form when you produce and promote your own high-quality content. Sounds easy enough, huh? Well, it can be overwhelming without the right tools and organization. Fortunately for you, I have several tools which I have found indispensable for curating content. Pocket (Organization) - An application which allows the user to save an article or web page to the cloud for later reading. The article is then sent to the user's Pocket list (synced to all of their devices) for offline reading. Pocket removes clutter from articles and allows the user to adjust text settings for easier reading. Available for OS X, Windows, iOS, Android, Windows Phone, BlackBerry, Kobo eReaders, and web browsers. Hootsuite (Scheduling) - Hootsuite is a social media management system for brand management. I use it daily to track my social feeds and to schedule my posts across various channels for the week. Feedly (Aggregator) - Feedly is a news aggregator application for various web browsers and mobile devices running iOS and Android, also available as a cloud-based service. Klout (Aggregator) - Track your social media "score" and more importantly, find articles to curate based on your interests. Buzzsumo (Paid)- BuzzSumo is a helpful search tool that tracks content on all social networking sites and ranks them based on the number of shares on Facebook, Twitter, LinkedIn, Google+, and Pinterest. Social Mention - Social Mention is a social media search engine that searches user-generated content such as blogs, comments, bookmarks, events, news, videos, and more. Headline Analyzer - This free tool will analyze your headline to determine the Emotional Marketing Value (EMV) score. 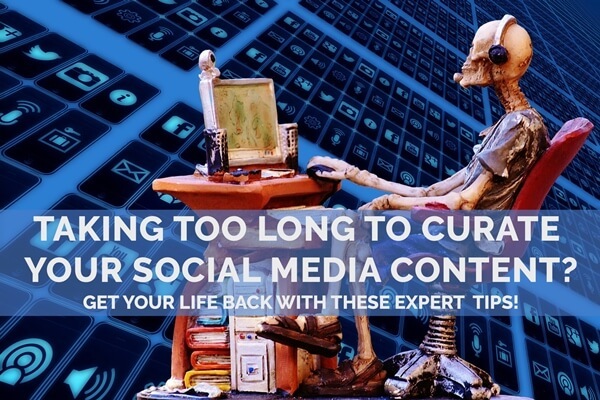 While these are just a few of the ones I personally use, there are hundreds of apps and websites which can help you with content curation (either aggregators, dashboard organizers, or management/scheduling). A quick Google search will give you a bajillion lists like "Top xxxx Content Tools". Remember the 5:3:2 Rule from my previous article? You will (and should) use both methods to promote content. Create original content on a regular basis and use Curated content to fill in the gaps and to further enhance your audiences' experience. Serve your audience as a trusted source. Help them with their problems. Answer their questions. That is what will get them to be customers down the road. Wow! We covered a lot of ground in the 3 segments. Now that you have your content, next item we'll work on is the timing and scheduling of your posts. I'll show you how and give you some really useful tools next Monday in Part 4.